The iPhone X is the most radical smartphone Apple has ever created. With significant upgrades hardware, Apple has also fully refreshed its camera setup on this latest flagship firm boasting that it offers one of the best photography experiences on the market. The rear dual-lens camera now performs much better in low light and brings the ability to add DSLR-style effects to images via its Portrait Mode. Apple has also improved the front-facing TrueDepth snapper on this phone meaning users can add numerous effects to their selfies including clever Portrait Lighting. These new selfie styles can add a professional feel to your photos with numerous lighting effects and background blur all available via this new camera. iPhone X’s front-facing camera supports Portrait Mode, adding a depth-of-field effect that puts your face in sharp focus against an artfully blurred background - making for a stunning selfie. Go to the Camera app and swipe to Portrait mode. From there, make your Portrait mode images even more captivating with studio-quality lighting effects. After you take your photo, tap Edit and choose from Studio Light, Contour Light, Stage Light, or Stage Light Mono. Picture too dark or bright? Before you snap the pic, adjust the exposure to get that lighting just right for your selfie. Manually adjust exposure by tapping and holding on the screen, then sliding up or down to increase or decrease exposure. You’re almost ready to snap that selfie - the focus and exposure look great and you want to lock it in. If if you want to keep the focus and exposure in that same spot, press and hold on the screen until you see AE/AF Lock. 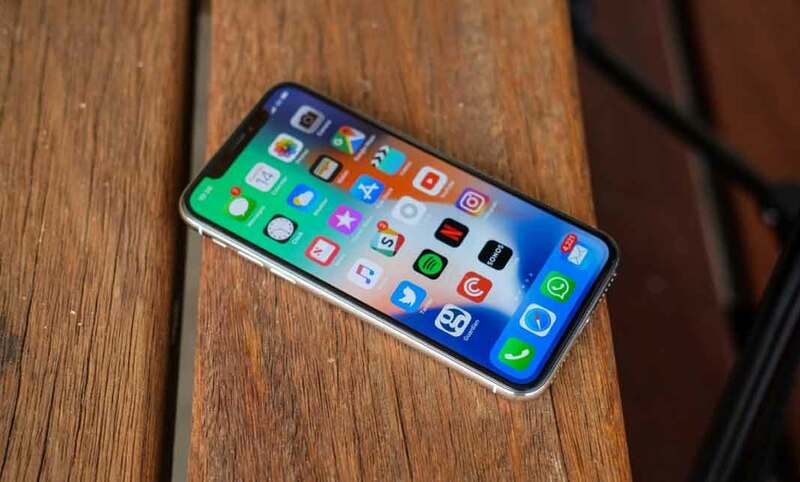 While you can take a photo using either the volume buttons or tapping on the screen, it may be more convenient to turn on a timer and let the camera snap away - saving you from pressing a button. At the top of the camera screen, hit the timer icon and select from a three- or 10-second timer. You’ve taken the selfie but, it could use something… a bit more panache. The auto-enhance wand is here to help. In ‘edit,’ tap the wand in the upper right corner to instantly improve your picture’s exposure, contrast, saturation, and other qualities. It's the fastest way to make your selfie even more amazing. Want some motion in that selfie? Try using Live Photo to create a looping image. First, take a selfie with Live Photo turned on, select the image in Photos, then swipe up to reveal Live Photo effects like loop and bounce.